Complementary Pedestals for the Avior Executive Desk Range are available in Mobile Under-Desk and Desk High in both 2 and 3 Drawer. Mobile Dimensions: W400 x D600 x H650mm. 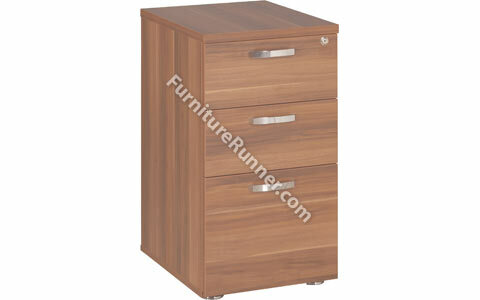 Desk High Dimensions: W400 x D (Select Above) x H750mm.